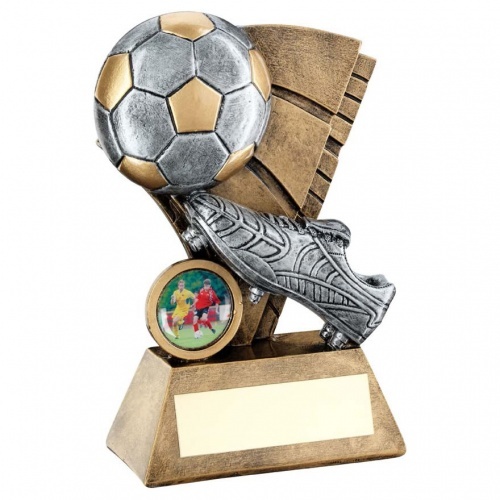 These affordable football trophies are ideal as awards for a wide range of achievements and recipients. Crafted in resin with a silver and gold colour finish, they feature a ball and boot scene set on a base with a 1in football centre and engraving plaque. They are available in three sizes and offered with text and/or logo engraving options.